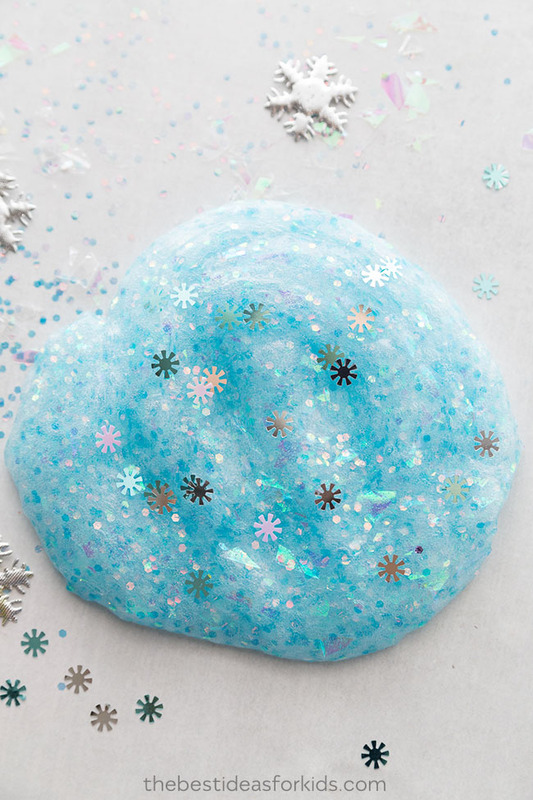 We have made a lot of themed slime – and this princess slime is one of our favorites! 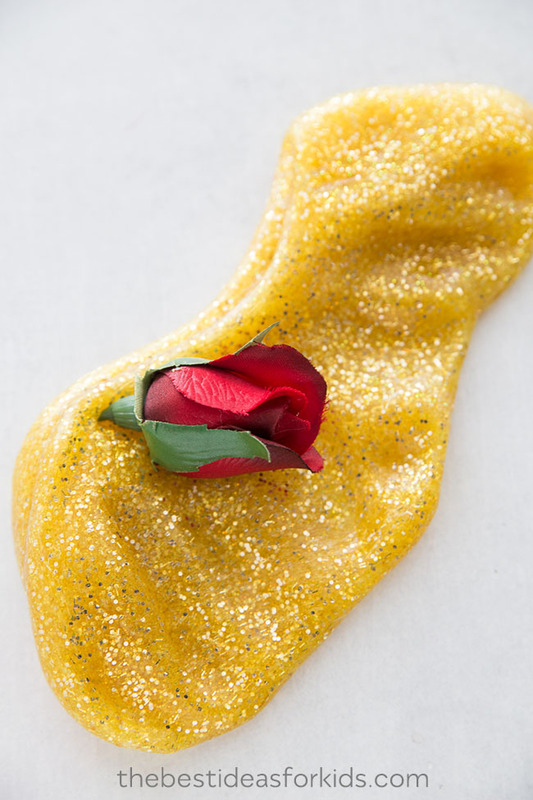 We will show you how to make slime inspired by all of your favorite princesses: Belle, Ariel, Cinderella and Elsa. 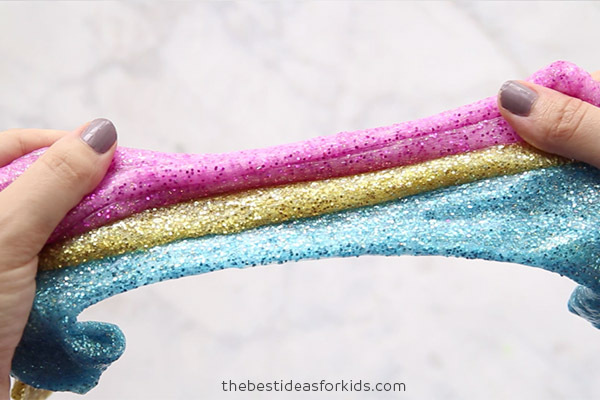 These 4 different types of slime all have a similar recipe, but with a few small variations to make each princess slime unique. These would be perfect to make with your princess fan or even for a princess party! 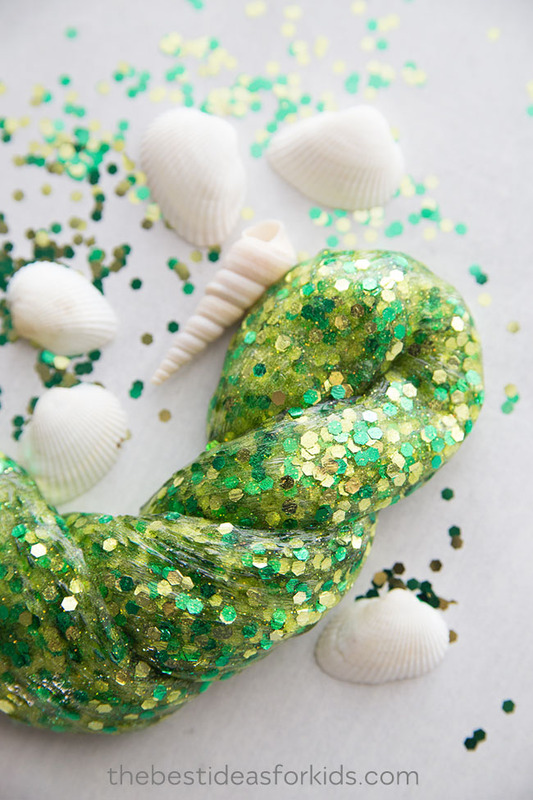 From Ariel to Belle slime, you are sure to find a favorite among these 4 options. These would make perfect party favors and would look great in a clear container. 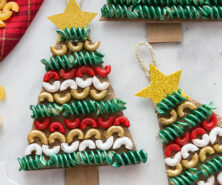 Make some to play with while you have a princess movie night at home or just as a fun rainy day activity! Contact Solution – 1.5 tablespoons. Renu Fresh or Equate are both good brands which contain Boric Acid and Sodium Borate. The contact solution must contain these ingredients for your slime to form. Do not substitute for other brands. 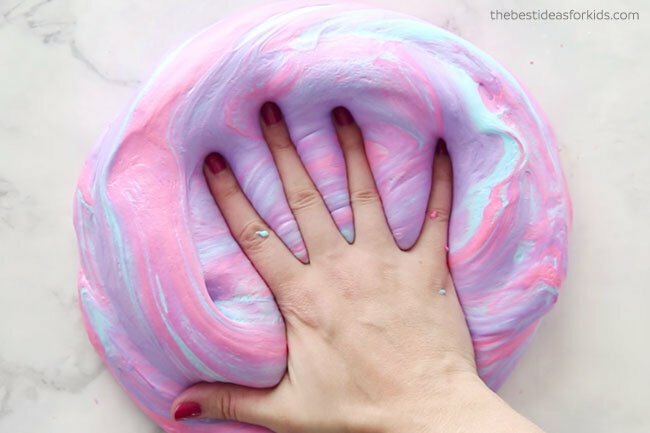 To make the slime, follow the step-by-step directions at the bottom of the post. Contact Solution -1.5 tablespoons. Renu Fresh or Equate are both good brands which contain Boric Acid and Sodium Borate. The contact solution must contain these ingredients for your slime to form. Do not substitute for other brands. Iridescent Glitter – we used this kind of chunky glitter and iridescent flakes of glitter. 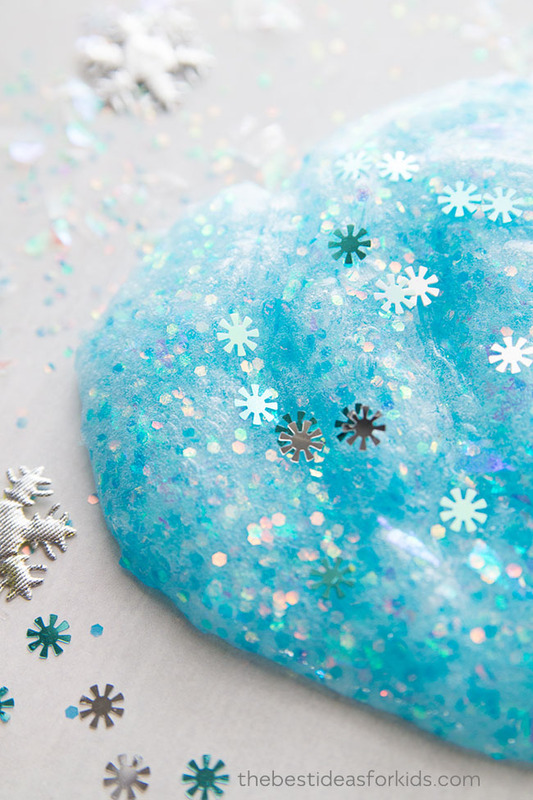 Follow these steps to make the Belle, Ariel, Cinderella and Elsa Princess Slimes. 2. Pour 6 ounces of of glue (see above for what type of glue you need depending on what princess slime you want to make) into the bowl. 3. Add 2 teaspoons of baking soda and mix well. Add 2 tablespoons of water and mix well. Note: For the Elsa slime, mix your baking soda first in the water until the baking soda dissolves. Then slowly add to your glue and mix slowly. We did this since using clear glue can cause a lot of bubbles in the slime and the baking soda can make it cloudy. 4. Add in your glitter. 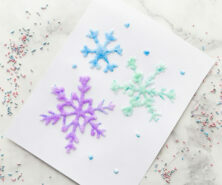 Elsa – Iridescent glitter – we used this kind of chunky glitter and iridescent flakes of glitter. 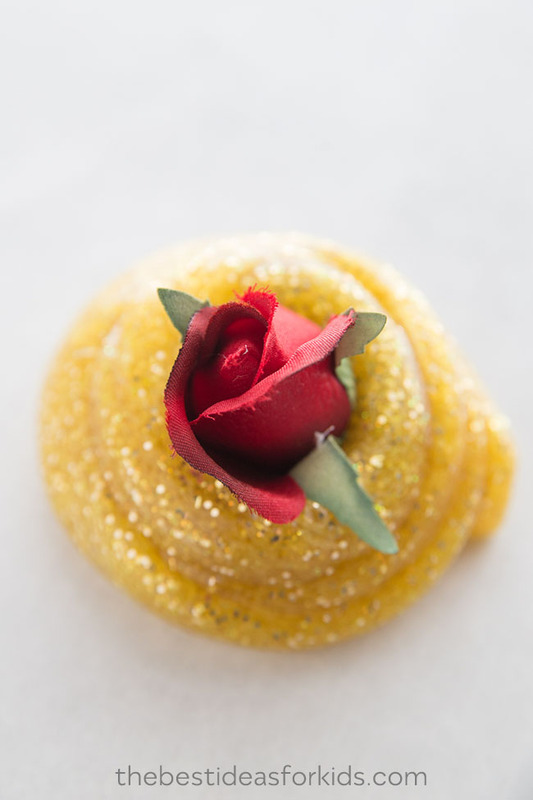 And you can sprinkle some extra snowflake confetti on top. 5. Slowly add the 1.5 tablespoons of contact solution and mix until it starts to form into slime. You don’t want to add too much or your slime will become too hard. 6. Knead the slime until it is not sticky. Keep kneading for at least 5-10 minutes. If you still find it too sticky, add a little baby lotion to your hands. You can add a few more teaspoons of contact solution but do this slowly or your slime may become too hard. We always recommend playing and kneading the slime as much as you can before adding more contact solution. 7. 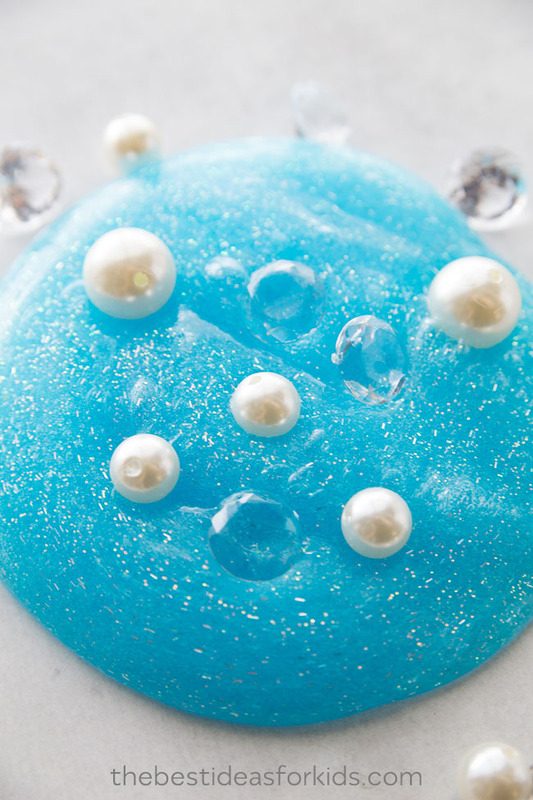 For extra decoration, add some pearl and clear gems to the Cinderella slime and some shells to your mermaid slime. 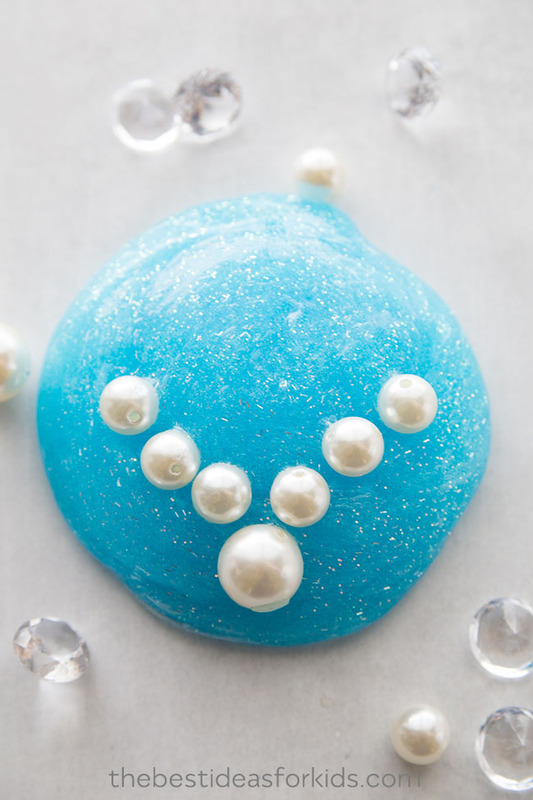 We hope you love how these princess slimes turned out! Which one is your favorite? 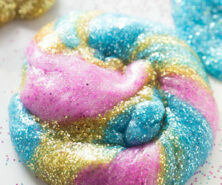 See our glittery Unicorn Slime – this is so fun and easy to make! 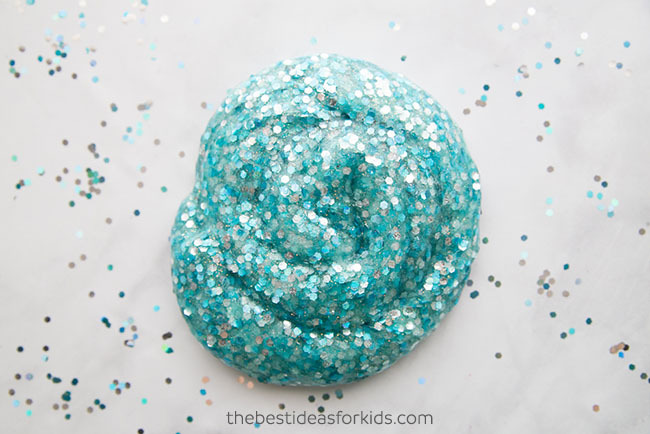 See how to make Fluffy Slime which has a different texture and is fun to play with! 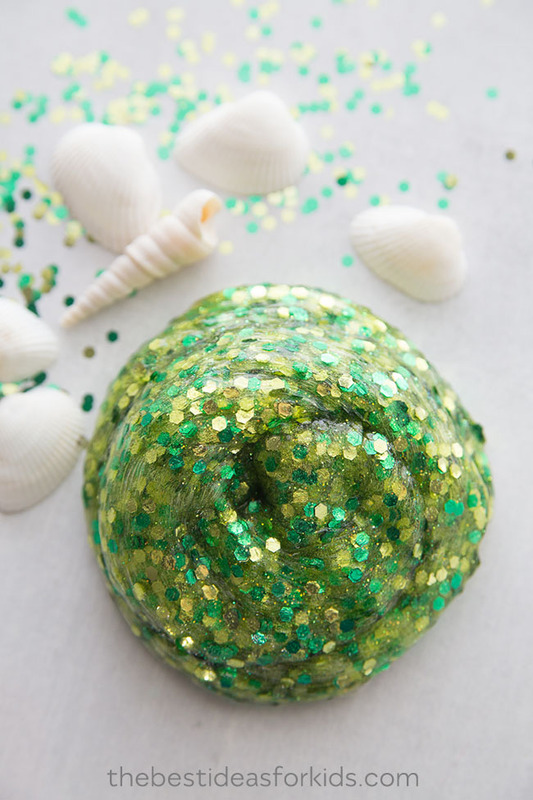 Finally, see our mermaid slime which is done a little differently than the Ariel slime. My granddaughter will love these princess slime wow that’s awesome!